Hi, my grandfather John Fitz/Patrick resided with his Great Uncle Samuel Dean in Nesfield House on Barlow Rd. (Census 1891). It gives Samuels occupation as mine under manager. I would be interested to know which mine he be have managed during this era and any other information that you may have. Also Samuel's brother John was my GGrandfather whom also worked as a mine manager?? 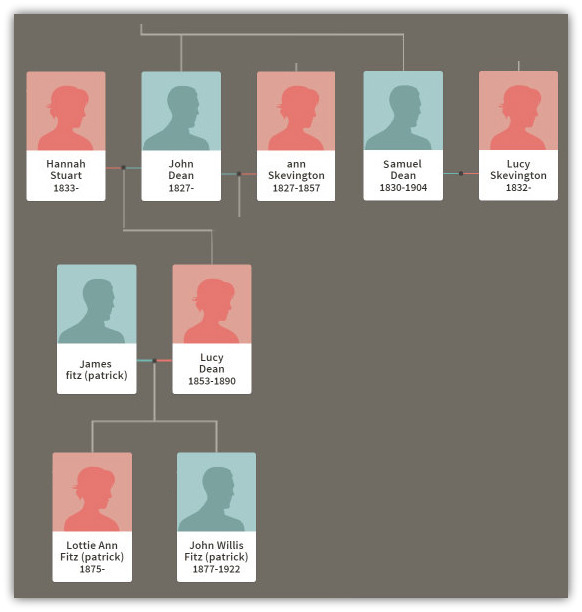 Jane’s Great, Great Grandfather, John Dean (Born 1827), had a brother Samuel Dean (Born 1830) and a daughter Lucy who married James Fitz (Patrick). They had a son John Fitz (Patrick). In 1891 John Fitz was resident with his great aunt Lucy (Skevington) and her husband, John’s Great Uncle Samuel Dean, they were living in Nesfield House, Barlow, in the Chesterfield area, Samuel was 62 and a Colliery Under Manager. By 1901 Samuel’s wife, Lucy, had died and his brother John, 74 years old, was a retired Colliery Manager and was living with him in Nesfield House. Lottie Anne Fitz, Samuel's 25 year old niece was their house keeper and domestic. Samuel was a Coal and General Merchant. Three years later, 21 Jan 1904, Samuel died aged 74. Samuel Dean was listed as Undermanager at Nesfield Colliery at Barlow owned by the Sheepbridge Coal & Iron Co in 1887. His Service certificate number 273. 1887 was the first year that Undermanager's names were published so he would have been in that position for several years before, as Undermanager's examinations for certificates began in 1887 and anyone who was in a position then and having several years experience in the job was granted a certificate. The shaft was 61 yards deep and the Silkstone seam was worked at about 3 feet 6 inches thick. This seam was good for coking and town gas. He moved to Sheepbridge Colliery at Sheepbridge nearby in 1888 where he stayed until 1891 when he was moved back again to Nesfield. The shaft was 75 yards deep and the Deep Hard seam was worked, about 3 feet 2 inches thick. This seam was good bright coal and had general use from industrial to household. The method of working the coal was long wall advancing run by a butty and say 4 or 5 men in a stall undercutting the seam by a pick to about 3 feet or as far as they could reach. Each miner would do this over about 8 to 10 yards may be over 2 days then lever the coal down by ringer (crowbar) and load out only large lumps and coals not less than say 4 inches into a wooden jotty (tub with open end). The miner would push or pull the tub to the gate road. A boy known as a ganger would fasten a pony to the tub by a drawbar and take it to a main haulage road where it would be clipped to a moving haulage rope towards the pit bottom and then onto a cage and wound out of the shaft. The cycle would be repeated. The Undermanager was responsible for all activities underground and for making contracts with butties. He would go underground each day and depending upon the area of the workings would visit each working place during a week or fortnight. He would have daily reports from Deputies or Overmen so that daily he could report to the Manager at the end of his shift, generally day shift say 6 am to 4 pm. He was not listed in 1893 so possibly had retired. John Windle service certificate number 1117 was Undermanager at Sheepbridge in 1892. Manager for both pits was Jonathan Piggford, manager's service certificate number 1084. I cannot find any mention of John Dean but he could well have been a Manager for the Sheepbridge Coal & Iron Co also but before 1880. I hope this will help with your search. Don't know if you can answer my question I am an ex-miner myself worked at Linby, Moorgreen and Gedling. Before working for the NCB, when I was in my early twenties, I worked for Vic Hallam contractors at Langley Mill at that time approximately 1970 ish working for vices we were working where now is Michael House School. There was a big wood factory there I think they produced flat pack furniture. We was working to the Michael House side to that factory making concrete posts etc for building sites. I remember there was a winding shaft there it was left abandoned at that time. I was just wondering was that something to do with Woodside Colliery or maybe an escape route for Woodside wondered if you could give me any information as really interested. Hi Pat, Woodside closed in 1966 where upon it became a mine water pumping station shifting 3000 gallons a minute. My father-in-law, Philip Healey, Ilkeston Mines Rescue, assisted in the installation of the pumps. But the pumps are no longer required now that the local mines have closed. And Bob Bradley’s History section relating to Shipley Woodside Colliery. Brilliant web site, you must have spent numerous hours in collecting all the relevant data. I observed that you mentioned an electrician friend of yours at Glapwell Colliery called Peter Hughes - l was there at the same time and to my knowledge he still lives at Temple Normanton. I left in 1972 and ended up at Creswell during which l completed the AMEME (Hons) cert. at West Notts College and consequently the M & Q Electrical Engineers Cert. I left Creswell in 1986 to do a Computer Engineering course in London and subsequently became a Computer Engineer working from home. 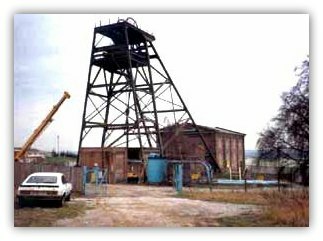 Do you have any photos of Glapwell Colliery apart from those on these pages and have you access to plans of the Low Main and Deep Hard seams at Glapwell? Once again, congrats on a brilliant site. Just picked up from year 1980, Page 11, covering Teversal Pit closure, where it mentioned that John Bacon, the on setter, was awarded his retirement certificate by George Noble. George would unfortunately suffer from gangrene and had to have a leg amputated, however he died a few days later, from pneumonia, in King’s Mill hospital. A member of the electrical staff, namely Alan McDiarmid, a big friend of George Noble, died a couple of weeks after George. In the early 80s, we had an electrician join the electrical staff at Creswell from Langwith - his name was Alan McDiarmid - wonder if he was son of above. Can you ask Bob if he can throw any light on this? Small world isn't it? So very pleased that you are enjoying "my mining history". Alan McDiarmid was the Electrical Engineer at Teversal from May 1961 to 1974? when he was moved to Welbeck from where he retired. He was promoted from Assistant at Silverhill. I was Senior Assistant Surveyor. We became friends and both of us friends with the Manager George Noble who was at Teversal from Oct 1960 to closure in 1980! We were drinking partners with our wives and some others in a select group every Friday evening at Teversal Welfare, after hours when Albert and Harriet 'locked up' and we would leave in the early hours. Alan and George became very close firm friends. I visited both of them in hospital and we reminisced of happier times. George had a leg amputated and died in King's Mill hospital and Alan had a stroke and was in a Nursing Home at Sutton. They both died within 2 or 3 weeks of one another, George first. I went to both funerals. But to answer your main question Alan did not have a son who was an electrician so the name which is unusual is just coincidental. Hello there. I am a retired Chartered Gas Engineer and I am researching the manufacture and use of Coal gas in Dewsbury. Whilst I was a Junior Chemist it Savile Town Gasworks I was aware that the Ings Coking Plant supplied gas to Mirfield Gasworks at Ravensthorpe which were within the County Borough of Dewsbury. I am trying to quantify the amount of gas made on a daily basis. Do you have any idea if the Coking Plant was owned by NCB or in the Ings Family or more importantly can you point me in the direction where I may find out about the Coking Plant. I only deal with coal mining history but I have looked in the Colliery Year book and Coal Trades for 1946 but can find no reference to Ing's Coke works. Whether it was under a different name. Mirfield is mentioned, just one word as a Gas works with a Manager. Also whether it was taken over by the NCB I do not know as from 1948 I have a series of Guide to the Coalfields books and can find no reference in those. I have tried several avenues on Google, etc but no joy (maybe searching the wrong ones). At present I can only suggest that choice....or..... I have been to Doncaster Archives several times and they have numerous books and lots of information. There is an archive in Leeds which is nearer. They have many newspapers. There is also an archive at Dewsbury which states that there is a lot of info in newspapers etc. and nostalgia. Lots for family trees etc also. One can access info on site but you need a Library card with number. You need to find out, then you can search at home, otherwise you need to visit archive/library in person. Maybe contacting them to see if they have such info is worth a try. Dear Mr Taylor, I wonder if Robert Bradley or someone on your website can help me? I have noticed that some collieries have the word 'Main' as part of their original title but others don't, even if close by. There is particularly true in the Doncaster area, but there were also odd ones in the East Midlands, e.g. Measham Main, and in the North-East (e.g Pelaw Main and Percy Main). I am told that it was nothing to do with it being the main mine for that area, but no-one I've spoken to seems to know the real reason! 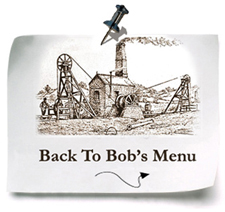 Some early colliery companies also incorporated the word Main in their official titles, e.g Hatfield Main Colliery Co. I am intrigued as to why this word was used. Does anyone know? PS. If there are any answers and they are posted on your website, will I be able to view them or will I need a special password or similar? Look forward to hearing from you. Hi Nick, I will send a copy of any replies to you and add them to your email, so no passwords etc required. the ‘Main’ pit is/was the Pit that was the focus of the company, it might not have been their biggest pit but it was the pit that produced the main output, the big output, the pit that made the big money, the main employer. The company would have had other pits in the area, they might even have been bigger but they were not producing in the same way, might have been older, running into geological faults etc., some pits were even bought by the company to close, it did not matter that miners were put out of work, it just meant that the main emphasis could be placed on the Main pit so that it could become even more efficient. 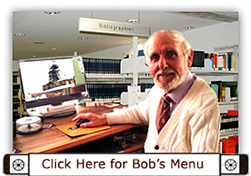 I just wanted to write to you to say thank you for the fantastic website you have created. Over the last couple of years I have become fascinated with the UK Coal industry, I find myself spending more and more time digging into the history of the industry. I wanted to compliment you on the information you have pulled together on your site, the detail is great. I have been a couple of times to Berry Hill and managed to get a surface tour of Thoresby. I would have done anything for a trip underground but unfortunately that wasn’t possible and sadly the opportunity is no more anyway. Thanks again for all of the work you have put into the site. Thank you Paul for your kind remarks. It depends where you live as to the 'pint'. If you have not been down a pit the ideal place to visit is the National Mining Museum near Wakefield, go to Junction 38 on the M1 motorway and follow the brown signs. The journey time is just over one hour from Mansfield. Anyone can go underground and it is free. It is a good day out for all the family and friends. It is a very old mine and the shaft is 140m deep and the escorted tour lasts about an hour. You will find it very interesting. Open everyday from 10am to 5pm. There is lots to see both underground and on the surface.